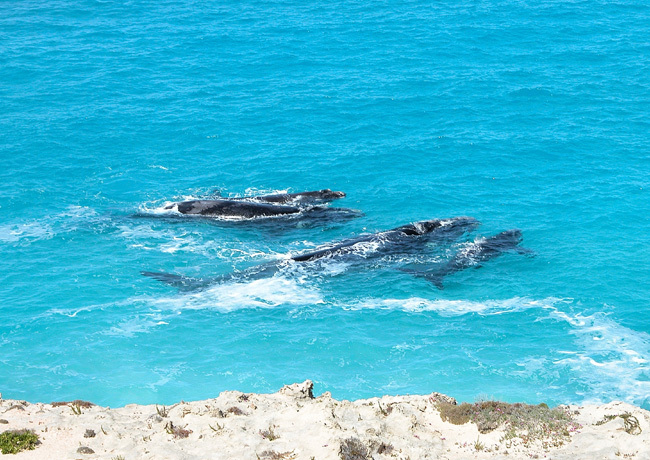 Catering for small personal groups, this tour visits a unique place in the world, The Head of the Great Australian Bight Whale Sanctuary, adjacent to the Nullarbor Plain and Bunda Cliffs. Here, you can view at close proximity from cliff top platforms large cetacean mammals, the Southern Right Whales, at their breeding grounds. 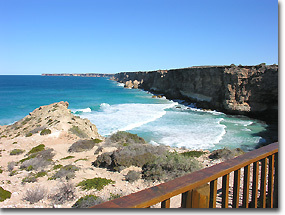 Bunda Cliffs on the Nullarbor. 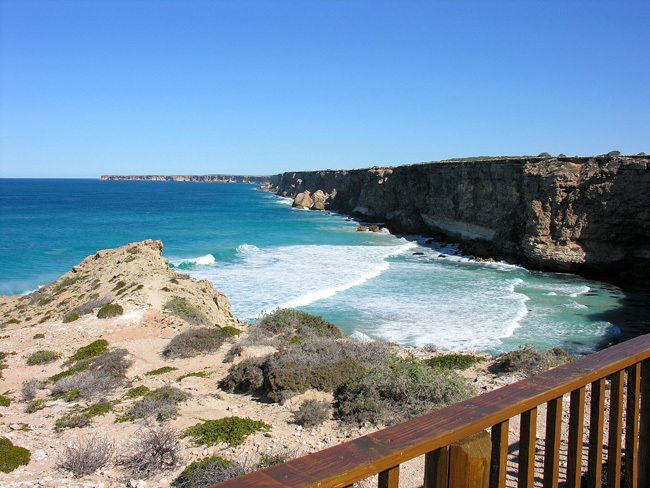 This tour passes through broad acre farmland and Australian native scrub lands to the tree less plain of the Nullarbor and on to the spectacular white sandy beaches which meet the Bunda Cliffs of the Nullarbor Plain. Perry is conversant with the history of the area, from the discovery by the Dutchmen, Pieter Nuyts and Francis Thijssen in 1627, and the maritime explorers of Frenchman, Nicholas Baudin and Englishman, Matthew Flinders, the overland explorer of Edward John Eyre who was followed by the pastoralists Swann and Barr-Smith and then much later, broad acre farmers of Lutheran German descent. 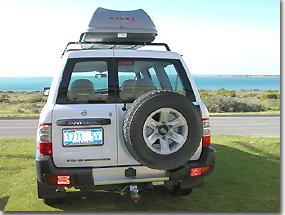 The package includes transfers between Ceduna Airport and your accommodation. 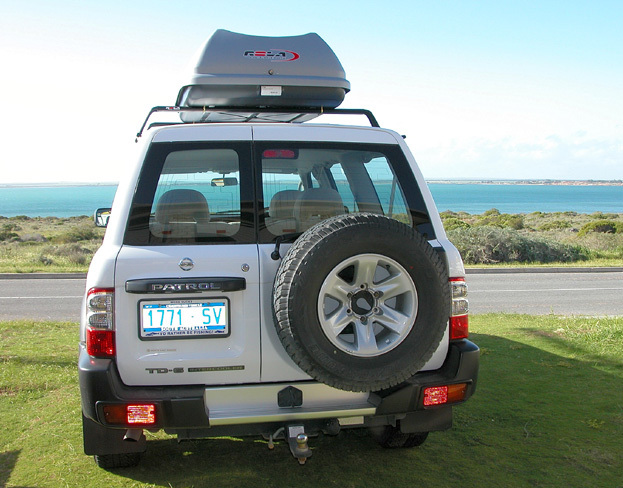 You will be picked up from your accommodation at 7.30am to drive by 4WD (300kms) to the Head of the Bight, arriving about 10.30am. 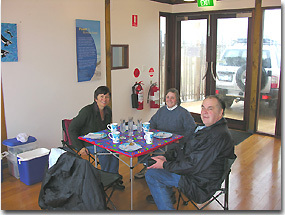 Morning smoko will then be offered – tea, coffee, fruit-juice and home made cakes. 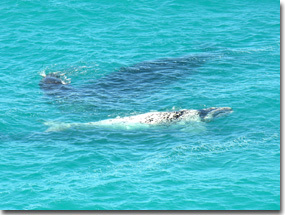 Entry fees to the Marine Park Whale Sanctuary are inclusive. 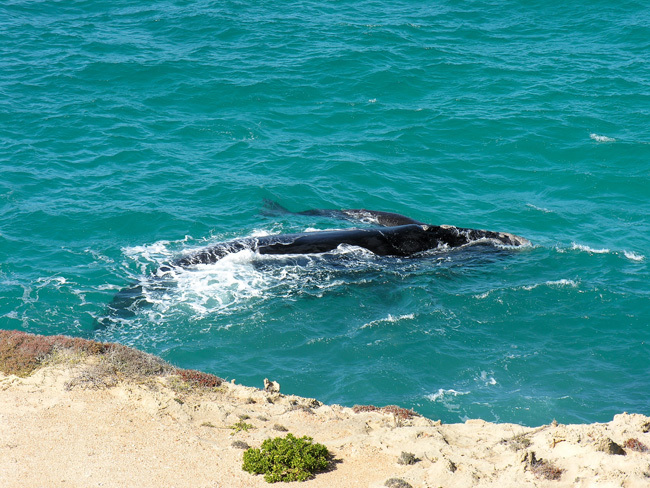 At the Head of the Bight there will be 60 to 100 or more Southern Right Whales in the area, and at any one time you will see 15 – 20 mothers and their calves from the viewing platforms at the Head of the Bight Interpretive Facilities. Chauffeured vehicle ready to go. Lunch at approximately 1pm – Home made soup and pastries, spelt or sourdough breads, roast chicken and salads etc, fruit and juices. No alcohol is permitted. 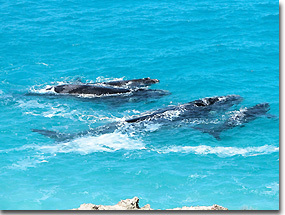 Flights over the Whale Sanctuary can be arranged (weather permitting) from Nullarbor Roadhouse. Cost is extra. Return to Ceduna via Yalata Roadhouse to see Aboriginal artefacts and to read an account of the English testing of Atomic Bombs at Maralinga. We travel on to see the ruins of the old Yalata Homestead, headquarters of early pastoralists and then on to Fowlers Bay for afternoon tea. Here you will see the pure white sandhills that Edward John Eyre faced on the outset of his epic journey. 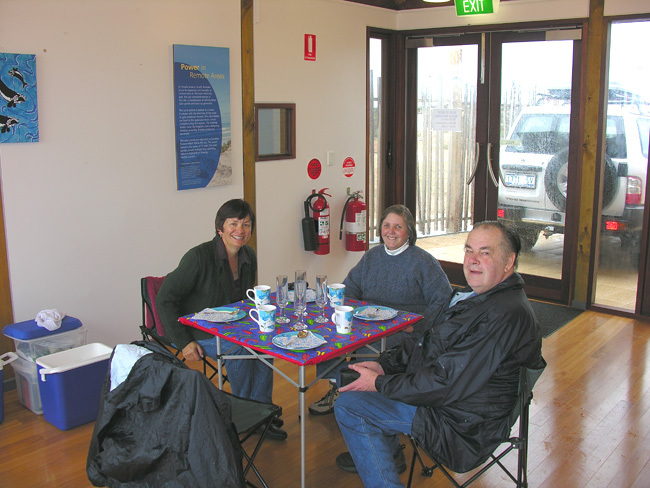 Optional; if staying in Ceduna that night, a chance to visit Cactus Beach, a world renowned surfing beach and watch the winter sunset in sea mist. 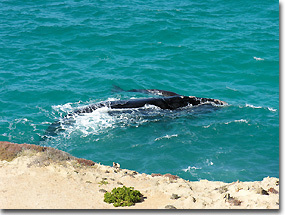 This is not possible if flying out of Ceduna that night. Return to Ceduna Airport 6.30pm. Return to Accommodation from Cactus Beach option 8pm.